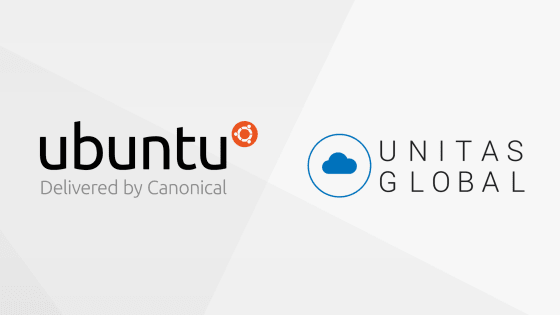 Unitas Global, the leading enterprise hybrid cloud solution provider, and Canonical, the company behind Ubuntu, the leading operating system for container, cloud, scale out, and hyperscale computing announced they will provide a new fully managed and hosted OpenStack private cloud to enterprise clients around the world. This partnership, developed in response to growing enterprise demand to consume open source infrastructure, OpenStack and Kubernetes, without the need to build in-house development or operations capabilities, will enable enterprise organizations to focus on strategic Digital Transformation initiatives rather than day to day infrastructure management. This partnership along with Unitas Global’s large ecosystem of system integrators and partners will enable customers to choose an end to end infrastructure solution to design, build, and integrate custom private cloud infrastructure based on OpenStack. It can then be delivered as a fully-managed solution anywhere in the world allowing organisations to easily consume the private cloud resources they need without building and operating the cloud itself. Private cloud solutions provide predictable performance, security, and the ability to customize the underlying infrastructure. This new joint offering combines Canonical’s powerful automated deployment software and infrastructure operations with Unitas Global’s infrastructure and guest level managed services in data centers globally. To learn more about Unitas Global, visit. For more information about Canonical BootStack, visit.